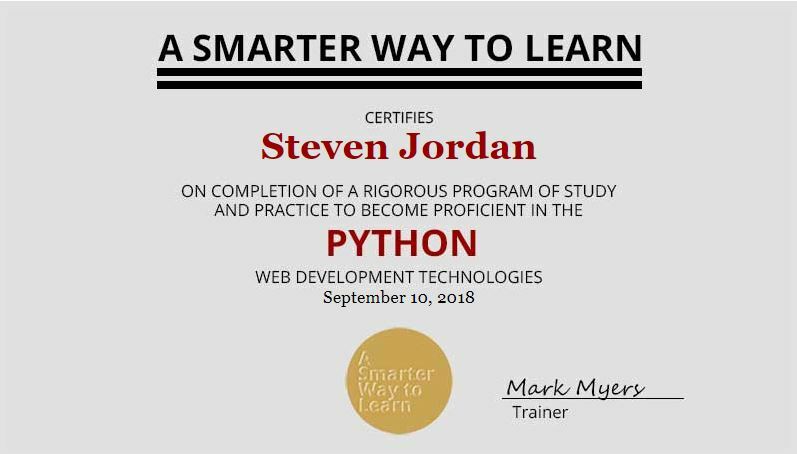 Steven Jordan, it is my pleasure to congratulate you on completing the 40-hour Smarter Way to Learn training on Python. Because you developed your skills through practice and testing, you now have a solid foundation for coding this language. This is a permanent page on the Smarter Way to Learn website. Bookmark it so you'll always be able to find it again. Click any of the buttons to share your certificate on social media.